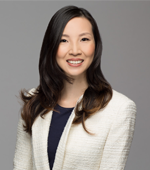 Ms. Tsuchida represents clients in the areas of consumer marketing and the non-profit sector. She also provides public relations services to some of Hawai‘i’s most prominent community organizations, including Special Olympics Hawai‘i, Omidyar Group, Hawai‘i Community Foundation and the Joyful Heart Foundation. In addition to serving as a marketing intern at Modern Luxury Magazine, Ms. Tsuchida also has a background in finance and accounting. She previously worked at ONTS CPA, LLP as an Accounting Assistant, and at the Shidler College of Business as a Student Advisor. Ms. Tsuchida is a Punahou School alumna and earned her B.B.A. in Finance and Entrepreneurship and a minor in Japanese at the University of Hawai‘i at Manoa. In her free time, she enjoys staying active outdoors and is an avid reader.